 The virtual appliance format is aimed to provide massive scalability, high availability and increased security for your services, applications and networks. No need of installation solution, what allows a quick production consolidation. 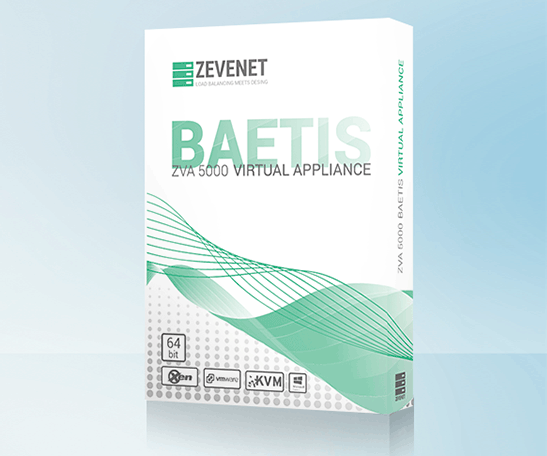 The ZVA Baetis lightweight and portable format allows to be deployed in the most popular hypervisors with a broad integration capabilities to be integrated easily in your infrastructure ensuring a productive and cost saving setup and maintenance. 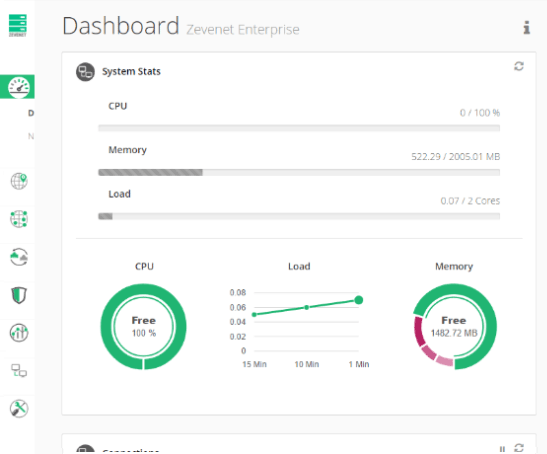 Zevenet Enterprise Edition v5 Latest Zevenet stable version with Enterprise Edition performance, features, security and usability improvements. Check out the features tab for further information. Limitless system. 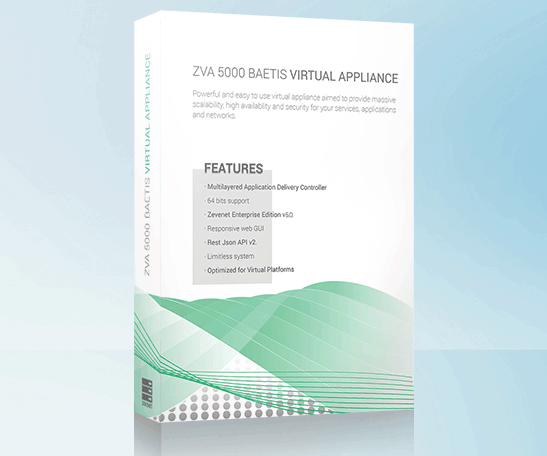 The ZVA series are not limited in CPU usage, CPU cores, maximum bandwidth, number of farms or backends. You get the full features and the maximum settings from the system with every product! Use all the resources available without restrictions in terms of number of cores, memory used, throughput or other system parameters. Optimized for Virtual Platforms. Support of optimized drivers and system to gather the better performance in the most used virtualized platforms like Vmware ESXi, Hyper-V, Xen Server and KVM. Configure dedicated cores in the hypervisor. It’s an important performance setting if the latency and performance over an virtual platform is mandatory. Follow the good practices when configuring a cluster service. Latency and clock skew could cause important effects in virtual platforms. The software included in the ZVA Enterprise Edition is delivered under the terms of GNU Affero General Public License v3. The ZVA products licensing model is related and associated to the number of instances deployed per virtual template, so it’s needed as much appliances as deployments required. Resources like CPU, memory or throughput allocated per virtual machine are not relevant to the licensing model. When acquiring an appliance, a product version certificate is obtained and we can provide every kind of hypervisor for such product version. Each appliance could be updated with the incremental software releases that we provide with a valid Support Plan in form of install package, but a redeployment of any product version upgrade requires to acquire a certificate upgrade for such new version. By other hand, a redeployment during the appliance lifetime is supported meanwhile the hostname remains the same. In a similar way, an appliance certificate could be reissued to change the hostname of the appliance if there isn’t any associated redeployment of such. The evaluation of this product is free of charge and it allows to deploy, create and use the real product during one month by default. Extensions of this period could be requested to the Sales Team through the contact form. During the evaluation period, pre-sales support is available.